Mark B. Miesse is the President of Memphis Title Company and Miesse & Christoff, PC. Mark graduated from Christian Brothers High School in Memphis, holds a B.A. in Zoology from the University of Tennessee and a Juris Doctor from the Cecil C. Humphries School of Law at the University of Memphis. He has served as President, Secretary, and on the Board of Directors of the Real Estate Industry Trade Association. 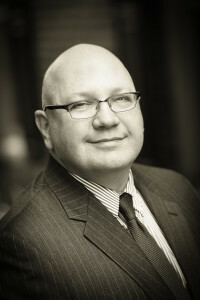 He is active as an associate and as legal counsel to the West Tennessee Home Builders Association where he has served on the Executive Committee, the Board of Directors, the Sales and Marketing Council, the Membership Committee, the Registered Builders Committee, the Government Affairs Committee and the Associates Council. He is past Chair of the Sales and Marketing Council and the Associates Council. He has served as a member of the Board of Directors for the Home Builders Association of Tennessee and as a delegate to the National Association of Home Builders. Mark is also involved with the Memphis Area Association of Realtors where he has served on the Public Relations Committee and Governmental Affairs Committee, serving as Governmental Affairs Chairman in 2016 and 2017. Mark is a member of the Germantown United Methodist Church and a former member of the Germantown Rotary Club. He is a member of the American, Tennessee and Memphis Bar Associations. Mark is currently one of the Assistant District Attorneys General for the City of Germantown Court. Mark and his wife, Abbey, have three children, Kathryn, Witt, and Izabella.